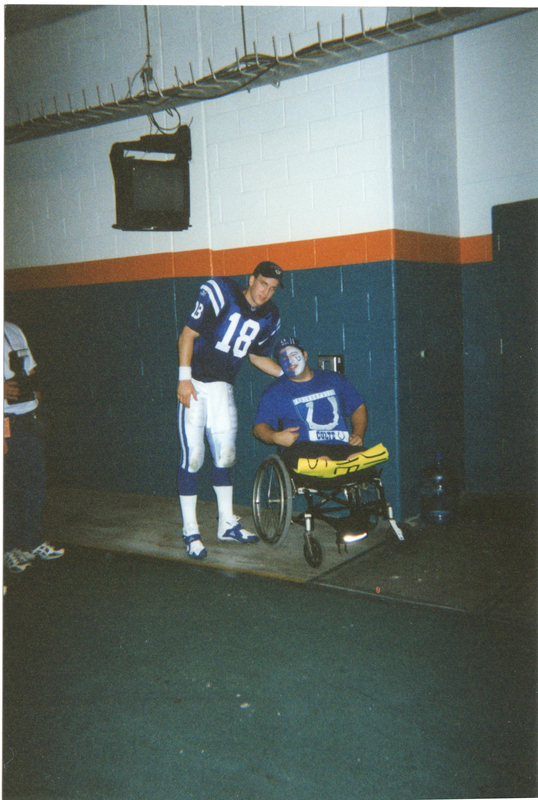 In honor of what will likely be Peyton Manning’s last game, here are a couple of pictures of me and Peyton from December 5, 1999 at Pro Player Stadium in Miami, FL. He was very gracious and was happy to pose with me. This was back when I would wear the colors of whomever was playing the Dolphins (I was a Dolphins season ticket holder, if you can believe that). As I got older, that became tiresome and now I just wear my Jets gear no matter who the opponent is. I also have a Dan Marino picture from this day. Will post that another day.